cattle - click here to jump to the website. Oklahoma National Stockyards has on offer 7,200 in the Monday trade of this week- Feeder steers and heifers trading 1.00-3.00 lower. Steer and heifer calves mostly 1.00 lower on a limited test. Click or tap here to get the Mid Session Report from Stockyards City. Joplin Regional Stockyards sells over 5,300 on Monday- USDA reports steer calves under 500 lbs steady to 5.00 higher, steer calves and yearling steers 500 to 750 lbs steady, yearlings steers over 750 lbs 2.00 to 4.00 lower- click or tap here for the full report. Daily Oklahoma Cash Grain Prices- as reported by the Oklahoma Dept. of Agriculture on Monday, August 13th. -- Move Over Siri - NCBA's Alisa Harrison Shares Beef Industry's Plans to Introduce the World to "Chuck"
-- Check Out Our MarketLinks- Featuring Cash Grain from Monday as well as all the Monday Cattle Market Reports- Oklahoma National, OKC West and Joplin. The US Department of Agriculture on Monday, August 13, 2018 released its latest USDA Crop Progress report, according to which the US corn crop is 73 percent doughing, 15 points higher than last year and 17 points better than normal. Corn dented is at 26 percent, better than 15 last year and 13 on average, with a current crop condition rating of 12 percent poor to very poor, 26 fair and 62 good to excellent. Meanwhile, the US soybean crop is rated this week 96 percent blooming, marginally above last year's 93 and the five-year average of 92. Setting pods rates 84 this week, above 77 last year and 72 the average, with a condition rating of 10 poor to very poor, 24 fair and 66 good to excellent. Click here to review the complete USDA Crop Progress report released on Monday, August 13, 2018. In Oklahoma this week, corn dough reached 68 percent, up 2 points from the previous year and 6 points ahead of normal. Corn dent reached 23 percent, down 1 point from the previous year. Corn's condition this week rates 7 percent poor to very poor, 20 fair and 73 good to excellent. Sorghum headed reached 68 percent, up 3 points from the previous year. Sorghum coloring reached 30 percent, down 7 points from the previous year. Sorghum's condition this week is at 13 poor to very poor, 42 fair and 45 good to excellent. Cotton setting bolls is at 70 percent, while bolls opening reached 4 percent, up 2 points from the previous year and up 3 points from normal. Cotton's condition this week rates 46 percent poor to very poor, 31 fair and 23 good to excellent. Click here to review the complete Crop Progress report for Oklahoma. In Kansas, corn condition rated 7 percent very poor, 15 poor, 31 fair, 41 good, and 6 excellent. Corn dough was 77 percent, ahead of 67 both last year and for the five-year average. Dented was 42 percent, well ahead of 22 last year and 19 average. Sorghum condition rated 1 percent very poor, 5 poor, 32 fair, 53 good, and 9 excellent. Sorghum headed was 72 percent, ahead of 62 both last year and average. Cotton condition rated 1 percent very poor, 1 poor, 31 fair, 55 good, and 12 excellent. Cotton setting bolls was 54 percent, ahead of 36 last year and 37 average. Click here to review the complete Crop Progress report for Kansas. In Texas, corn dented at 79 percent. Mature is at 52 this week while 48 percent of the crop has been reported harvested. Corn's condition in Texas this week rates 36 poor to very poor, 35 fair and 29 good to excellent. Cotton setting bolls climbed to 71 percent, bolls opening at 17 and just 6 percent of the crop reported harvested this week. Cotton's condition in Texas rates this week at 52 poor to very poor, 28 fair and 20 good to excellent. Sorghum headed rates 87 percent complete this week, coloring at 77 percent, mature at 61 and 58 percent of the crop has been harvested. Sorghum's condition this week rates 38 poor to very poor, 39 fair and 23 good to excellent. Click here to review the complete Crop Progress report for Texas. This week we see quite a bit of variation in the quality of pasture and range conditions across the country, with minor improvement across the Southern Plains from the week prior. Oklahoma climbed six points this past week, rising from 32 percent good to excellent up to 38 percent. Kansas improved by 2 points, from 29 percent good to excellent to 31 percent. And Texas is better this week by a single point, up to 12 from 11 percent last week good to excellent. In spite of the continued growth in supplies, the price of feeder cattle has managed to remain relatively strong during a time when seasonal lows in the market typically occur. According to OSU's Derrell Peel, this trend of increasing supplies is likely to continue on into the fall as all indications point to a larger run of calves and an abundant supply of feeders than what was seen last year. With ample supply pressure on the horizon, you may be wondering whether or not to expect normal seasonal price declines or worse this fall. 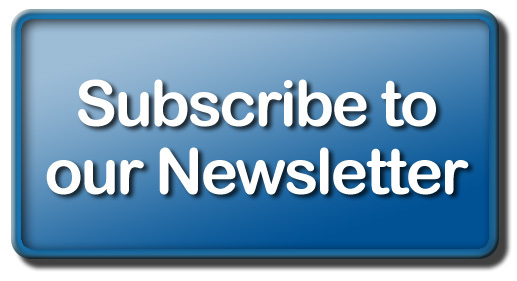 Peel addresses that possibility in this week's edition of the Cow/Calf Corner newsletter. According to Peel. feeder cattle demand will ultimately be the key to floating prices through the fall. But, while stocker demand is the key to calf prices - that will largely be determined by forage conditions. Currently, the Drought Monitor shows widespread moderate to extreme drought conditions in western Oklahoma. However, an unseasonal cool, wet weather pattern is in place in Oklahoma with more rain expected in coming days. In general, Peel says moisture conditions are quite variable across most of the wheat belt in Oklahoma. Cooler than average temperatures is resulting in cooler soil temperatures which may support early wheat planting after Labor Day. Suffice it to say, given the right conditions, there could be some profitable opportunities for discerning producers this fall. "Current markets may suggest opportunities for stockers or backgrounding this fall," Peel writes. "For example, combined Oklahoma feeder auction prices in the first week of August for 465 pound steers (Medium/Large Number 1) were $171.59/cwt. and price of 774 pound steers at $150.65/cwt. This results in a value of gain of $1.19/pound on 309 pounds of gain, calculated as (7.74 x 150.65 - 4.65 x 171.59)/(774-465). Value of gain for added feeder cattle weight is largely a reflection of feedlot demand for feeder cattle of various weights. A value of gain at this level indicates relatively less feedlot demand for lightweight feeders and is an economic signal for increased stocker production. If feeder cattle prices maintain a similar price relationship into the fall and forage conditions are good, fall feeder markets may follow seasonal price patterns rather closely." Click here to read Peel's complete article in this week's edition of the Cow/Calf Corner for more details on his analysis of fall feeder markets and stocker prospects. Move Over Siri - NCBA's Alisa Harrison Shares Beef Industry's Plans to Introduce the World to "Chuck"
Over the past year or so, Alisa Harrison, senior vice president for global marketing for the National Cattlemen's Beef Association, has been integral in the launch of the beef industry's digital marketing efforts, a new campaign focused on revitalizing the long-standing Beef. It's What's for Dinner brand. She spoke recently with us about the campaign and some of the new components being incorporated to better reach consumers with relevant information where, when and how they want it. "We launched the Beef. It's What's for Dinner campaign last October and it's been all digital because everything we're doing today is digital. Not just the older millennial parent but all of us are so connected to our devices," Harrison said. "We've experimented with different kinds of platforms, but we're advertising on some of the popular shows using Hulu...because that's how millennials are watching television these days. And, then we have evolved into using some of the digital reality technology that's out there." Earlier this summer, Harrison says the campaign launched its virtual reality component. By wearing a pair of goggles, consumers can take a virtual tour of a real farm or ranch and interact with an actual producer to learn about beef production and the people behind it. Harrison says this kind of engagement has been very effective in building consumer trust in beef and the beef industry. In addition, other innovations have been in the works as well. For instance, in the coming year, Harrison says the campaign will roll out the industry's very own "bot," a virtual representative of the beef industry designed to connect, educate and serve consumers much like iPhone's Siri or Amazon's Alexa, powered by artificial intelligence. This bot has affectionately been named "Chuck." "Chuck is an extension of the Beef. It's What's for Dinner brand and it going to be kind of a centerpiece of our program in our next fiscal year. We created Chuck to help consumers learn how to cook beef and feed up new recipes," she said. "That can be done through either voice, our website our through your smartphone." Listen to Harrison speak more about the Beef. It's What's for Dinner digital campaign and how they are working to better reach consumers, on yesterday's Beef Buzz - click here. Janeal Yancey of the University of Arkansas' Meat Science Department wears a variety of hats... program technician, meat scientist, agricultural advocate, blogger, mom... the list goes on. Through her blog though, entitled Mom at the Meat Counter, Yancey has been able to merge her knowledge of being a meat scientist and a mom in a very constructive way that helps promote the ag industry while also giving back to other mothers seeking advice on what to feed their families. As a blogger and agricultural advocate, Yancey has come to acknowledge the fact that not everyone, particularly those who have been far removed from the farm, are not as familiar with agricultural practices as others might give them credit for. Even some of the simple jargon used on the farm like heifer, steer, gilt and barrow might be confusing to someone who has potentially never set foot on a farm. Yancey spoke to us recently at the Women in Agriculture and Small Business Conference recently about how to get on the same level of today's consumers in order to effectively communicate with them about where their food comes from. Although they may require a bit more clarification on certain things that some of us may take for granted as common knowledge, Yancey says today's consumer really wants to know these things and will understand if you take the time to clearly explain how things are done on the farm and why. She says this is more important than ever for the ag industry as the gap between producer and consumer widens. She encourages everyone in agriculture to follow her example and share their experiences within their sphere of influence as often as possible to build consumer trust and understanding. Click here to read more or listen to Yancey and I discuss her blog and the importance of advocating on behalf of agriculture these days. In the August issue of the Oklahoma Beef Council's Dollars and Sense newsletter, learn how the Beef Checkoff is sharing information about Beef's sustainability and reinforcing beef's role in a healthy diet. There is also information on am upcoming Effective Stockmanship seminar and the "Beef Up our Blood Supply" event. Click here to learn more. According to Steven Cooper, associate professor in Oklahoma State University's Department of Animal and Food Sciences, there is a high demand currently for professionals with an advanced training and knowledge of handling equine here in Oklahoma and other states. To meet this demand in the industry, OSU's College of Agricultural Sciences and Natural Resources is now offering a first-of-its-kind program available to any undergraduate student at the university. Regardless of their chosen major, a student may earn a certificate in Equine Enterprise Management that will also be reflected on their transcript after completing a required number of hours in equine courses while meeting specific core requirements in both scientific training as well as practical experience within the equine concentration. "The program will get students career-ready with an applicable skill set to allow them to integrate into the horse industry," said Cynda Clary, CANSR associate dean. "The Equine Enterprise Management program will be of great value to our students and the equine industry as a whole." Learn more about this new program being offered, by clicking or tapping here. 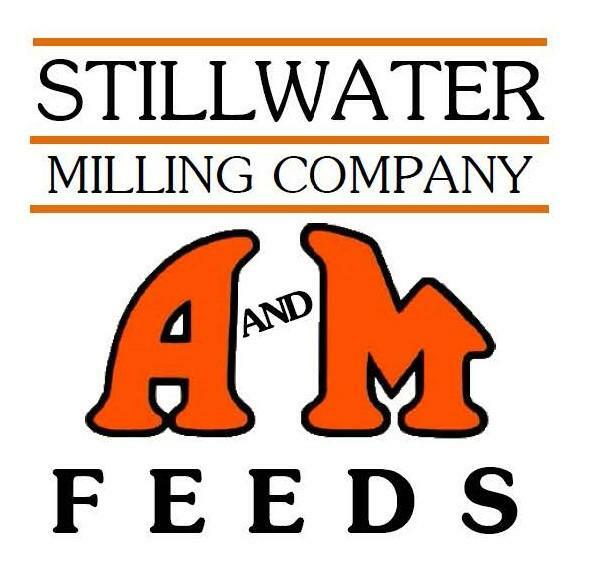 For 30 years, Excel Feedyards in Watonga, Okla. has served the needs of its customers throughout eastern Oklahoma. With a total capacity of 27,000 head, the feedlot's manager, Bill Roser, says they can handle just about anything that is thrown their way. He talked with us this past week during a recent visit from the US Commodity Futures Trading Commission Chairman Chris Giancarlo, who toured his enterprise to gain a better understanding of how the beef industry relies on the futures trade to manage their risk. Roser says running a feedyard is hard work, more so than ever and believes to stay afloat in these uncertain times, challenges must be met head on. Despite all the hard work that goes into his business, though, Roser regrets that the market is in control when it comes to who makes a profit - and who doesn't. Unfortunately, Roser admits that currently his customers are "on the wrong side of the ledger book right now." A place he says he finds himself in more often than he'd like. But he says most of the time the feeding business is a very rewarding one. Click over to our website to read the original story and listen to our complete conversation to hear his perspective on the cattle business as a feedyard owner and learn some of the tricks of the trade from the veteran operator himself to find out how he has kept the lot up and running for over three decades. The two largest farming groups in the United States yesterday called for swift passage of the farm bill by a congressional conference committee. Faced with the lowest farm income in 12 years, the presidents of the American Farm Bureau Federation and National Farmers Union, together with more than 150 other organizations, sent a letter to the Senate and House Agriculture committees asking the farm bill conference committee to pass an on-time, five-year farm bill before the September 30 expiration of the 2014 farm bill. "America's farmers and ranchers persevere even in the toughest times, but the farm economy has gone from bad to worse," AFBF President Zippy Duvall said. "If Congress is to provide real relief and certainty to those who feed, clothe and fuel our nation, as well as continue the important environmental sustainability work and diverse market promotion of past farm bills," he remarked, "they need to pass a strong farm bill before September 30." To review the joint statement from the two farm organizations or to read a copy of the letter sent to lawmakers, click here.